Carry your drink around in TMNT style! This Teenage Mutant Ninja Turtles Michaelangelo Travel Cup features the silliest of the Turtles' face large and up front. 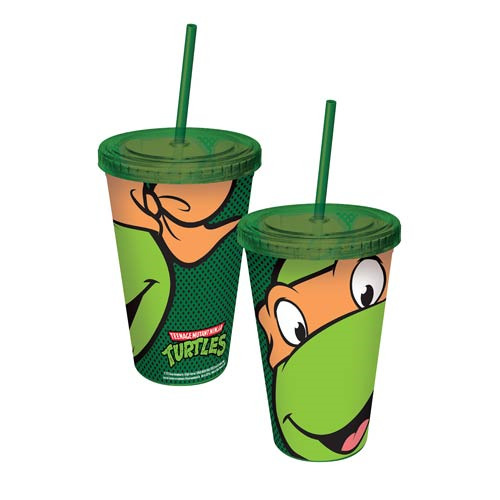 Complete with the Teenage Mutant Ninja Turtles comic book logo, this great travel cup is a must-have for Teenage Mutant Ninja Turtles fans! Holds up to 16 ounces of liquid. Hand wash only. Not dishwasher safe.